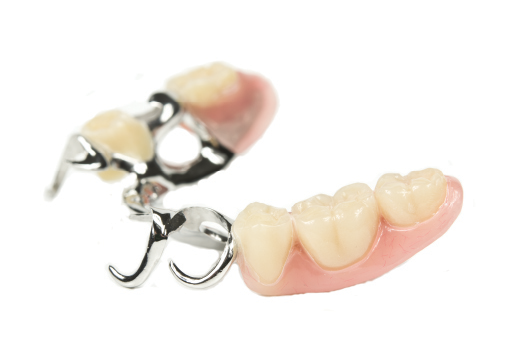 Our Cast Partial Denture is designed to match your patient’s personal preferences. We focus on making sure the clasp and framework retention are precise. Our Cast Partial is made from Dentarurum Remanium GM800+ chrome cobalt from Germany. Our Cast Partial is fracture resistant and provides a mirror like shine. For patients that require a premium partial denture alloy, we offer Vitallium Alloy from Dentsply. Our Vitallium Cast Partial is Nickel and Beryllium free which results in a lighter framework. Vitallium also has increased flexibility without deformation or fracture, making it excellent for predictable chairside adjustments.